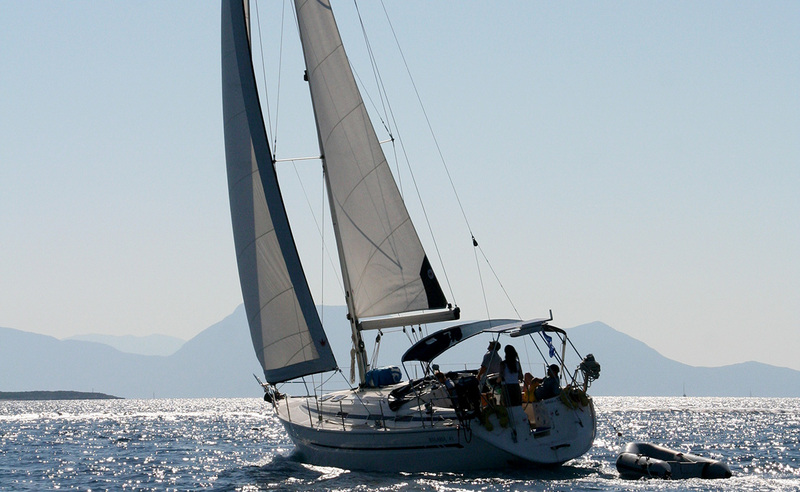 ﻿ About us - Sail In Ionio, Sailing in Lefkada. Best prices in Lefkada island.Sail In Ionio, Sailing in Lefkada. Best prices in Lefkada island. OUR MOTTO: GOOD IS NOT ENOUGH. WE TRY FOR PERFECT, ENJOY. We know you have a lot of choices when it comes to booking your holiday so what is it that makes the “Sail In Ionio”, so special that you would choose us? “Sail In Ionio” is a private-owned company who has been in business for many many years in Lefkada, Greece. That is a lot of experience we can put to good use to make sure you have the holiday of a lifetime. Much of our reputation is based around the quality and dedication of our team and our belief in a first class customer service. It is so important that you have a smooth and relaxing sailing holiday and we are on hand to look after you every step of the way. “Sail In Ionio” staff is friendly, knowledgeable and always willing to go the extra mile to ensure you get the most out of your sailing cruise. We have sailed extensively throughout the Ionian islands and have stayed at the anchorages and eaten in all the restaurants we recommend to you. We know all the hidden gems, all the secrets and all the pitfalls to watch out for. We can’t wait to share them with you. If there is a paradise on the face of the earth then you will find it with us. Thousands of islands dot the blue sea and there are endless possibilities to find exactly what you are looking for. The wealth and diversity of the Greek seas, the endless kilometers of the Greek coast and the thousands of Greek islands, the protected sea areas covering thousands of square kilometers, the mild climate, the high percentage of sunshine and its interesting and varying landscape make Greece the ideal destination. This advantage is strengthened both by thousands of years of marine tradition and by conditions favorable for sea traveling: the Greek seas are considered safe, distances between coasts are small, while conditions related to wind strength, ambient and sea temperatures are equally favorable. At “Sail In Ionio” we are really pride about the service we provide. Our reputation is built around the quality, dedication and commitment of our staff. Our crew is friendly, knowledgeable and always willing to go the extra mile to ensure you get the most out of your sailing vacation. The Ionian Islands are located in the Ionian Sea, off the west coast of Greece and are composed of Lefkada, Kefalonia, Ithaca, Zakynthos, , Paxoi, Corfu and Kythira. The islands are well known for their beautiful sandy beaches, crystal clear waters, charming villages and stunning scenic countryside which is verdant and flourishing with greenery and nature. Each Ionian island has a distinct character and between them they offer everything you could wish for from a Greek Island holiday. Our sailing programme varies from week to week due to wind direction and your requests. Dear friends, take off for a sailing and hiking adventure in the Ionian Islands. You’ll see steep cliffs, secluded bays and pristine beaches, and take guided walks on hidden trails on the beautiful quiet Ionian Islands, with the chance to sail, swim, snorkel, sunbath, relax under Ionian’s islands sun. Safe, natural, precious. It forms a warm embrace around the turquoise waters of the Ionian Sea….. 2018 sailing season is waiting for you.